Use these replacement screens with the Irritec 3/4" or 1" Plastic "Y" Filters - Item numbers 1025, 1019 and 1015 only. 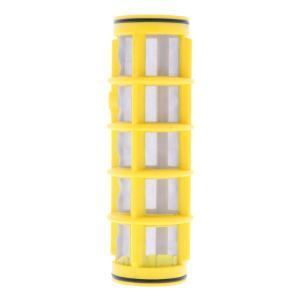 Replacement filters are 5" high and 1.5" wide. Note: 200 mesh (black) is finer than 155 mesh (yellow) which is finer than 100 mesh (blue).